Editors Note: This episode contains an extended discussion about emotional and physical child abuse and thus its content may not be appropriate for all listeners. Honor your father and your mother, that your days may be long in the land that the Lord your God is giving you Exod. 20:12 ESV. Children, obey your parents in everything, for this pleases the Lord Col 3:20.Scripture commands us to honor our parents, but how do Christians do that if they were abused by their parents? This episode ... See More covers the following topics: What constitutes bad parenting as defined today? What truly rises to the level of abuse? Who is responsible for stopping parental abuse? When does the child stop trying to honor the abusive parent and begin to protect himself and confront the evil? When does abuse rise to the point where legal authorities need to be notified and involved? What is the role of the church in the prevention and mediation of child abuse? Can a parent take her or his children and leave her or his spouse in cases of child abuse? Can divorce be a legitimate biblical option in such cases? How should we respond to allegations of child abuse in our me too culture? And much more. 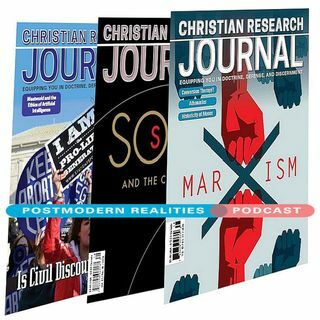 This conversation is with author Michael F. Ross about his Volume 42 No 1 Viewpoint article Honoring Dishonorable Parents.Viewpoint articles address relevant contemporary issues in discernment and apologetics from a particular perspective that is usually not shared by all Christians, with the intended result that Christians thinking on that issue will be stimulated and enhanced whether or not people end up agreeing with the authors opinion. To read this article, please subscribe to the JOURNAL.